Pennies vs. Pounds! Corrector and Concealer palettes review! So I love a beauty bargain as much as the next person. Cheap doesn’t necessarily mean poor quality as expensive doesn’t always mean simply the best. I want to add a new layer to my product reviews where I compare products from the drug store/ beauty supply store etc with a similar or same product from a high end range/ department store. Keeping the categories as they are in my main reviews (see example here) I will be honest and tell it like it is and I promise to try and not be too lengthy! Goes without saying but needless to say I will say it anyway (mouthful). The reviews are based on my own opinion and trials (errors too). I have not been paid or endorsed to do this. Will you choose to spend pennies or pounds? Who comes out on top? Read on to find out more! Let’s get to it! 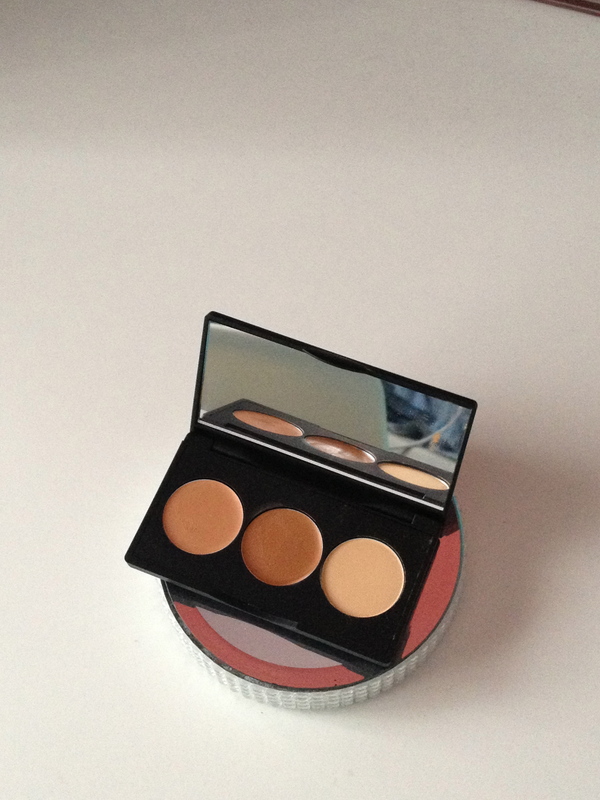 Today’s duelling products- SLEEK Corrector and Concealer Palette vs. MAC Pro Conceal and Correct Palette. I purchased the Sleek Corrector and Concealer a couple months ago. I was super excited to try it but have to be honest. It didn’t live up to my expectations. In all honesty I have used it about 3 times and wanted so much more from it. In my case it just didn’t do what it says it on the package. That being said, it can be used in other ways and I am not about to waste money without really trying to get the most out of them in some way. Those who follow me on twitter may have seen me post about being excited to review this product. After I tried it a couple times I just lost the enthusiam about it. That review ended up on the cutting room floor. I bought my MAC Pro Conceal and Correct Palette a month ago now and have used this the most. Now let me state now, this has nothing to do with it being MAC. I do like MAC products but I also like Sleek ones too. Most people hear the name MAC and assume it is the best on the market. In some cases this is true but there are many other top quality products from drug store and high end. For me, it is important that a product does what it says at a bare minimum. Whether you cost £2 or £20 just do what you say you can. I do allow a little leeway but lets be honest- if you purchase a product it should perform no matter how much you paid. Correcting and concealing is a must if like me you have dark circles or hyperpigmentation. In order to achieve a flawless coverage the aim is to cancel out the issue (correct) and the conceal or even out the skin. You don’t always have to do both steps as it depends on coverage you want, your skin condition, preference and so much more. Sometimes concealing is just enough. Look out for a post in the coming weeks with more info on the art of this. 5/5 (S) and 5/5 (M) WINNER- DRAW! I am not mad at the price for either product. 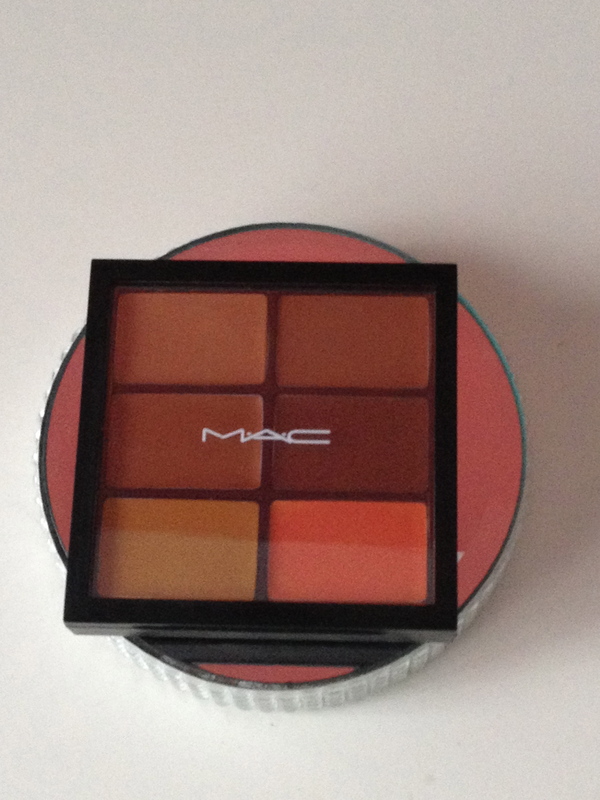 Sleek’s palette is made of 3 products whilst MAC’s has 6 in a palette. Other concealers from the latter will generally run you about £14.50 whilst other Sleek concealers start at £3.40. As a drug store brand it is expected that there will be a considerable difference in price so I will not just choose Sleek as the obvious price choice winner as they are cheaper. Packaging: 4.75/5 (S) and 4.5/5 (M) WINNER- SLEEK! Sleek wins because the palette has a mirror. Handy dandy. It has a durable plastic casing which is sleek (no pun intended) and cute. It is their normal black packaging which is similar to MAC and NARS but of a cheaper feel. The logo is also on the front in black. When I test drive a product, I am rough on purpose. I have accidentally and purposely dropped it on the floor a couple of times and it has survived. It is a 4.2g/ 0.15oz product size. As mentioned the palette has only 3 round products so smaller than MACs. More detail on this below in the product part of the review. MAC has changed their palette casing recently for the better. They now have a clear plastic cover (with the MAC logo in white) which allows you to see what is inside with ease. I love this little feature. 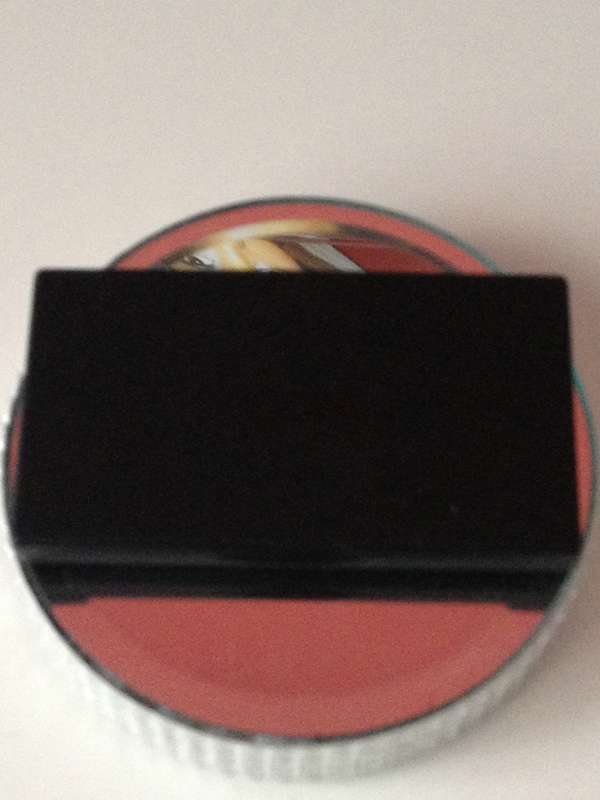 The back is a hard wearing black plastic case with a magnetic trim along the front. I am hopeful that the empty product can be returned to MAC (Back to MAC programme) for recycling or refills in the future. The size is an enviable 6g/ 0.21 oz. There are 6 square products inside. Purse, pocketbook and travel size- what every girl looks for. Product: 3/5 (S) and 4.75/5 (M) WINNER- MAC! MAC should add contour to the palette name as there is enough product choice in their 6 pan palette to correct, conceal, contour and highlight. There are 4 of these palettes to choose from. Light, Medium, Medium Deep and Dark. 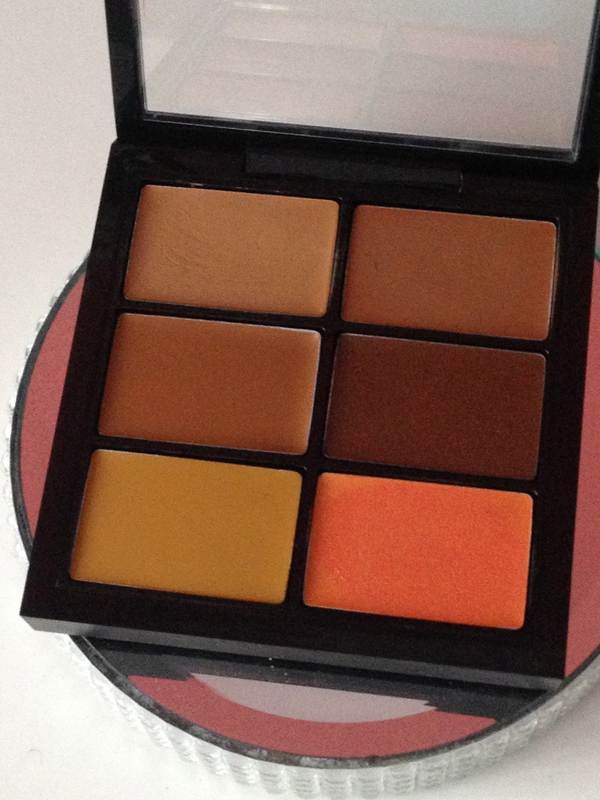 A mixture of cool and warm concealers and pure colour correctors from pink and yellow to orange. It ideally should cover every shade from pale to dark. You may have to mix the colours but which such a vast range you’re more than likely to find the right fit within one palette. I have the dark one and the orange works wonders to conceal the darkness under my eyes before I use one of the concealer shades. I sharpen my eyebrows with one of the concealers and contour with darkest shade. I am able to do so much with this palette that I have not stopped doing make-up looks without it. The consistency is creamy which is especially great under the delicate eye area. 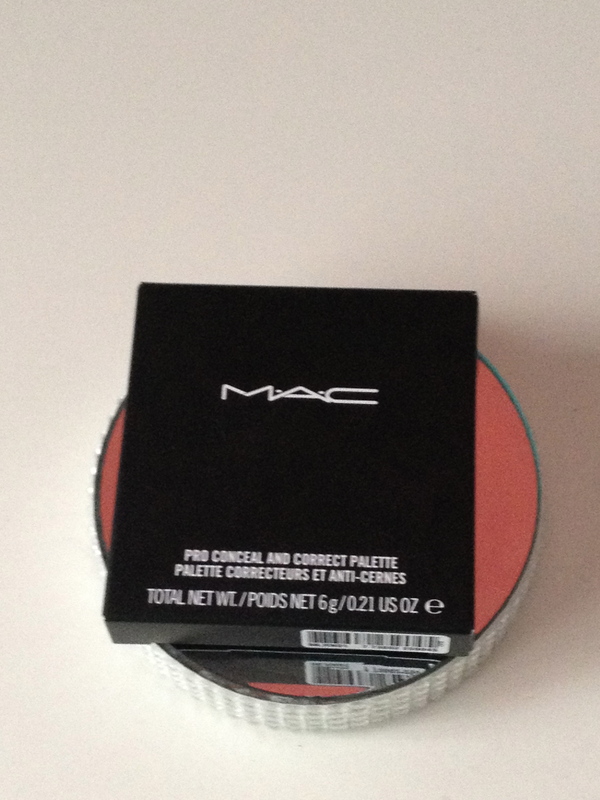 MAC describes the product as ‘enriched with antioxidants and suitable for all skin types’. If you have fine lines and wrinkles under the eye area, it may crease and I would suggest using a primer or line filler or your regular eye cream. It blends extremely well and I would recommend a setting powder on top. The Sleek range comes in one more shade than the MAC ones. Shades 01 to 05 for Fair, Medium and Dark skin. I purchased 04 and 05. It comes with a corrector, concealer and setting powder. The consistency is creamy but not as much as the MAC and I found that it dried out my skin quite quickly. The corrector was not as pigmented and did not feel like it cancelled the darkness. You would have to apply several layers which makes it become cakey. It is not the best for buildable coverage but you can work with it. On small areas it is not so bad and can be used to clean up brows, or cover blemishes. The setting powder is a bonus in the palette but quite yellow and comes off looking ashy if too much is applied. I don’t love this product but I don’t hate it. I try and find a little bit of goodness in everything- except tomatoes (I will say no more). As a drugstore buy it is not too bad but didn’t quite fit my needs. On the box it says it is the ‘ultimate tool for creating an ultimate eye lift. Correct and brighten dark circles…’ I do not agree with their bold statement as it didn’t do this for me but I could be the exception. It may work for you. For all the reasons above and more. I have to say that this product is genius. It is a product that does what it says it can and delivers. It is value for money for the product size and even without the discount, I would have paid the full price. It does more than what is says it can (e.g. contouring, brow clean up) and feels good on the skin. 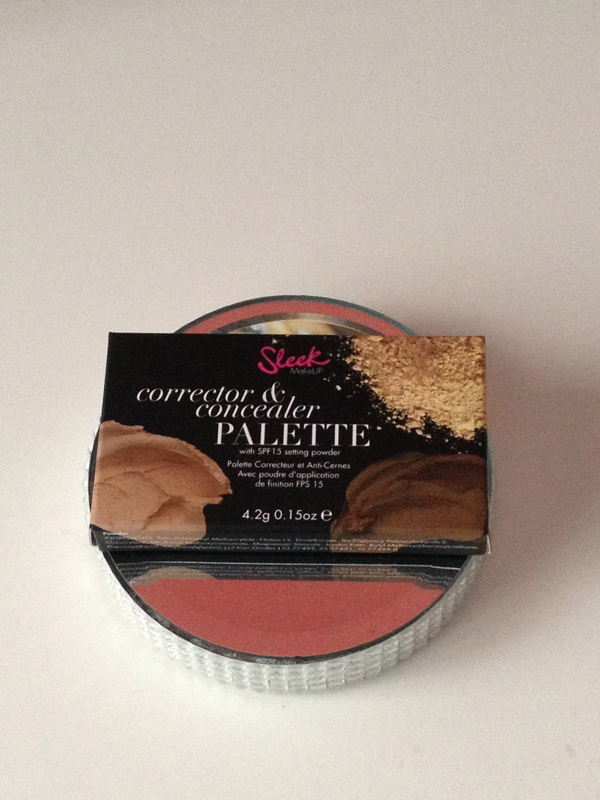 As mentioned above, look out for a post on concealing and highlighting and looks with this palette. Hope you enjoyed this review. If you have any questions or queries, get at me. It is not too late to enter the New Years Giveaway. Click here for details. This is very valuable thank you! I’ve tried a couple of products from the drug store because I didn’t want to invest in pricey products that don’t deliver. Milani secret cover concealer is the last one I purchased. Ok but not great. Thanks again! Do you have a YouTube link?